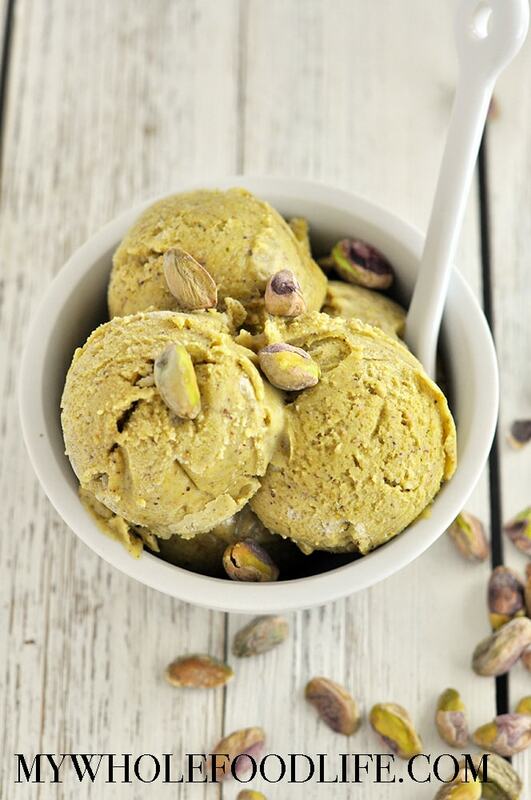 So all you need is frozen bananas and pistachio butter. Super simple! Since I used salted pistachios, my ice cream ended up with a sweet and salty flavor. If you use unsalted pistachios to make your butter, you can add a pinch of sea salt to the recipe. 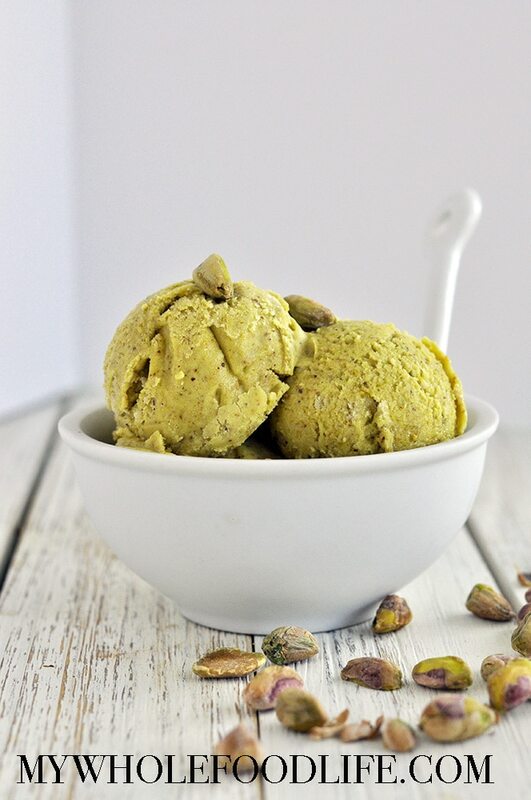 Creamy pistachio ice cream that only requires 2 simple ingredients! No added sugar, vegan, gluten free and paleo approved! In a food processor, blend the frozen bananas. Then add the pistachio butter and continue to blend until everything is well mixed. If the mixture looks slightly dry, you can add a dash of almond milk. Serve immediately for a soft-serve ice cream. For a harder, scoopable, ice cream, you can place the mixture into the freezer for 30 minutes. Enjoy! It's just like peanut butter, but it's made with pistachios. So delicious! Hi, Melissa this looks like a fantastic recipe! I was wondering, though, how you make your pistachio butter? Thank you!! Just put pistachios in a blender and blend. It turns into butter in less than 5 minutes. They do not have to be pre-soaked. Any other nuts will work as well, but if you are making the nut butter, be advised it takes longer to make some other nut butter than it does the pistachio butter. This looks absolutely fabulous! 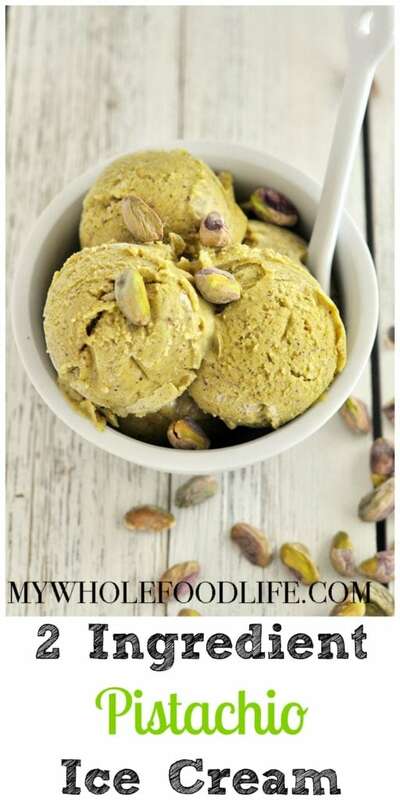 I'm a HUGE fan of pistachio ice cream and love the thought of making it healthier - with only 2 ingredients! So brilliant! How do you make pistachio butter?